Growing democracy deficit and quickly shrinking public budgets : European cities react very differently on these circumstances. Many look for innovations and show more flexibility towards population claims, in some others progressive new mayors are elected, while some even strengthen authoritarian policies. With over 700 participants, plenary discussions and 19 parallel tracks the AESOP’2015 Congress of the European Planning Schools held in mid-July in Prague gave a good opportunity to get informed about new tendencies in governance and planning in European cities. The following thoughts were inspired by the presentations and debates of the congress. After the 1989 re-unification of Europe the chances for democratic development have been substantially widened. However, during the last decades a growing democracy deficit can be observed. More and more people think that the present form of democracy does not functions according to the real expectations of people, therefore the participation in elections shrunk to historic low levels. In some countries local governments become increasingly dependent on or even hostage to both central government and private capital. In some other countries local governments managed to preserve their power but use this more to create alliances with developers than to respond to the needs of the population. The development of cities is increasingly made in accordance with the interests of the developers/investors, in many cases even ‘oiled’ by corruption. These tendencies were interestingly illustrated during AESOP’s Congress with the Czech film ‘The Plan’. The 2002-2010 leadership of Prague was accused with large-scale corruption cases in urban planning and development. The film followed a civil debate on decisions made at the city hall and the growing anger of the residents, turning into protests. After the accused mayor lost power in 2010, two right-wing mayors tried to scale down corruption but could not serve the initially planned duration of their mandates. Finally, real changes came across in 2014 when Adriana Krnáčová, the former head of the Czech branch of Transparency International, the first ever lady mayor in Prague, was elected. The growing dissatisfaction with the formal democratic institutions turned in many cities into loss of confidence after the financial crisis when public financing of services and development has been downscaled. Inequalities between population groups excavated, leading also to growing spatial polarization within cities. In the spreading popular protests radical claims came to the forefront, such as the ‘right to the city’ (Harvey) and the control over public assets (urban commons) by population groups instead of the public administration or market actors. The latter is linked to the debate about commons: Elinor Ostrom has proved that the encapturing of the commons either by the state or by the private sector are not the only and unavoidable alternatives – it is possible for people to run such places on sustainable way: communities of individuals can establish institutions (resembling neither the state nor the market) to govern commons over long periods. In the last years many examples emerged giving sound grounds to this statement for the case of urban commons (streets, parks, squares). The most substantial changes in the behaviour of the people occurred in those countries and cities which were hit the most by the crisis. In Greece, for example, as a favorable political consequence of the deep crisis people have stopped to blindly cast their votes for some politicians, and started to be more responsible voters. Citizens became also more proactive, as they are now forming groups and demand a word in issues concerning them. 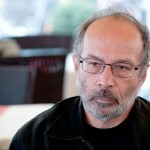 Nicholas Karachalis reported in an interview about a park in Athens which has been occupied by students to prevent the construction of a parking lot. Now the park is managed by a neighbourhood community, using it as a community space where various cultural events are organized. Athens seems to have many such places: the years of austerity speeded up the process of community-building among the individuals. Similar developments can also be found in other major cities: e.g. 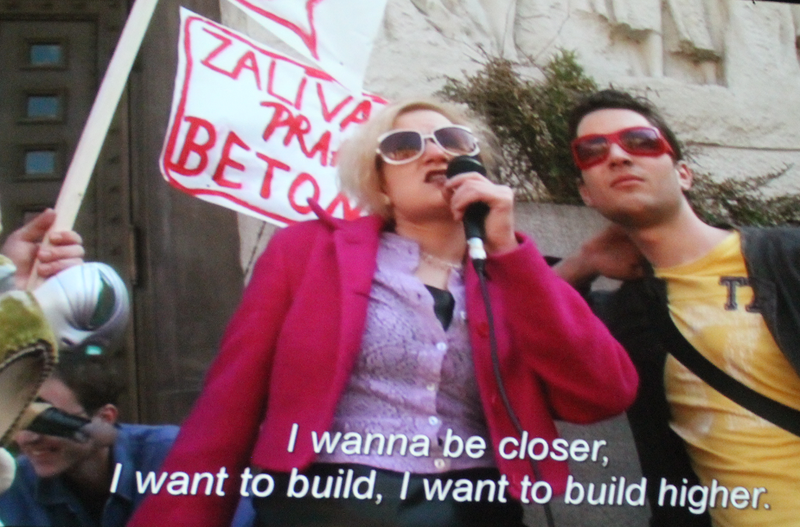 Chiogna (2014) reports about Teatro Valle a theatre in Rome that has been closed down in 2011 as a result of the crisis, and was occupied by artists, residents, students to prevent its privatization. Although Poland has not been hit strongly by the financial crisis, people are increasingly angry about the strong links between local politicians and developers. Since a few years local residents became active in more and more Polish cities, organizing local groups to protest alleged corruption cases and development plans accepted without sufficient public discussions. Later the local groups joined together in the form of a nationwide Urban Movement which made itself an unavoidable stakeholder in Polish urban issues and achieved even good results in local elections. There are cities which understand the new situation and make efforts to change the way how the municipalities work. This is, by the way, also a financial urgency: if public finances dry up, the local leadership has to be more open towards local stakeholders and those who are coming up with innovative ways of financing. Among the best known European examples are the following. In Amersfoort the mayor urged civil servants to go out of the municipality building and talk to people to understand their situation (Growing Free Range Pubic Servants, URBACT Blog, 2015). In Bremen the municipality signed a long-term agreement with a group of young urban planners, empowering them to organize temporary use of buildings and places in innovative way (Patti-Polyak, 2015). Amsterdam introduced much more flexibility in the regulation and procedures of urban planning, allowing more room for innovative bottom-up initiatives (Tosics, 2015). Bologna introduced the notion of the city as a commons. The ‘Bologna Regulation on Public Collaboration for Urban Commons’ was adopted by the city at the end of 2014, providing an opportunity to explore different collaborative approaches to the management of certain types of urban space and property (including both public and private property). Since then already 100 agreements have been signed with another 100 in the pipeline. Recently local elections brought quite unexpected results in some of the large European cities. In Athens and Thessaloniki new, leftist mayors have been elected with more progressive agendas, after 25 years of conservative leadership. In Madrid a left-wing former judge became the mayor. The election of Manuela Carmena ends 24 years of right wing Popular party rule in the city. Her campaign was centred on fight against corruption, blocking the privatisation of public services and preventing household evictions in Madrid. She told journalists to bring “a real change in the way of doing politics” (Guardian, 2015). A very similar change happened in Barcelona: Ada Colau, a young lady has been elected as mayor, who became known in 2013 as one of the country’s most prominent voices of protest against the political and economic elite. On her programme there are some 30 emergency measures, such as creating jobs and fighting against job insecurity, guaranteeing basic rights, tackling corruption, discuss with bankers how to halt evictions and turn the empty homes on their books into affordable housing. She has slashed the salary of the mayor from €140,000 to around €35,000 a year, and privileges such as official cars have been terminated (Guardian, 2015). The new lady mayor of Prague said shortly after her election in 2014 that she was going to put into place a major overhaul in the way the city hall operates and was not afraid of stepping on anyone’s toes (Economist, 2015). One of her deputy mayors, Matej Stropnicky, who is responsible for urban development, addressed the AESOP conference. He said that suburbanization costs the city endless money, thus the city has to refocus on the inner areas. The developable areas should be clearly defined and in these areas not the maximum but the minimum density should be regulated. He called architects to represent public interest, to diminish economic power and create better places to live. There are only a few countries where opposite tendencies prevail, instead of local discussions with the population on real problems, urban development is still decided in top-down way. Especially some of the post-socialist countries are dominated by socially insensitive power politics aiming to decrease, in many cases totally eliminate, the influence of affected people about new developments. In Budapest, for example, key investments (e.g. to turn Városliget, the largest public park with large new buildings into a museum quarter, or to build a huge damn on the Danube which would cut Rómaipart, the most famous recreational area, from the Danube) are announced to be ‘priority investments’. A new law ensures that in such cases alternative opinions and protests of civil organizations and residents do not have to be taken into account and the projects can be implemented without any disputes and delays. What can/should Planners and Experts Do? To achieve this the way planners are educated should change – in the university education the socially sensitive ‘urbanism’ should get more emphasis than recently, where architecture still dominates education. For good urban planning to happen well educated planners are needed. They have to feel their responsibility to achieve a more balanced, integrated, just urban development. Planners are important players in urban development, they have to be recognised as equally important actors to national politicians/regulators, local leaders, market actors and population groups.